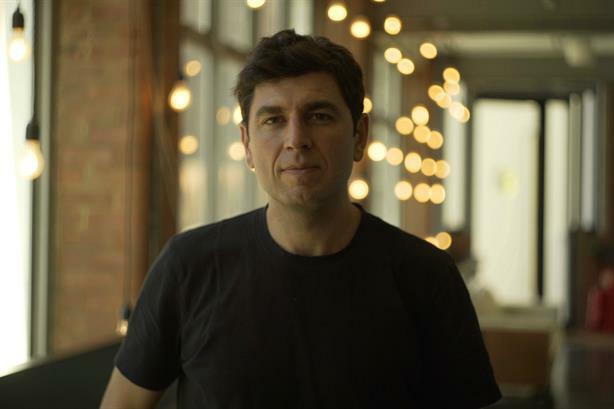 In our latest interview with a leading UK PR creative, PRCA Creative Group chair Nick Woods talks to Dan Glover, creative director and co-founder of The Academy. I’ve long thought the line between outstanding planners and outstanding creatives is thin. A couple of hours spent chatting with The Academy’s Dan Glover further underlines the theory. A career that began with him wanting to be a sports journalist, but finding PR instead, has now spanned Cow, Cow Africa, Mischief and The Academy. He has won bucket loads of awards, has a stellar roster of clients and a desire, you sense, to do something bigger, more challenging and more meaningful than most PR people set their sights on. Even the name of The Academy, which he co-founded with long-term collaborator Mitch Kaye five years ago, comes from an ambitious start point: just as Plato brought the best thinkers of his day under one roof (his eponymous Academy) so that they could all learn from each other, so too Dan and Mitch are seeking to build a contemporary, communications-focused equivalent: "we want bright minds from every discipline under one roof, because the best minds make better work." People who know Dan say he is intelligent, passionate, a big thinker and a detail obsessive, and within minutes of meeting it’s not hard to see why; he’s all of these, and, like many in the role, really easy company over a few pints as the world is put to right, frivolities are dissected and dismissed, and the biggest industry conundrums considered. Do you think consumer PR is too… light? I think too many agencies offer a light version of PR to their clients and it does the reputation of the discipline no favours. PR can make such a huge difference when it’s properly aligned with marketing, but small ideas and lightweight commitment undermine the difference that can be made. I worry for agencies and clients that lack ambition. The link between comms and marketing can so often undermine the best efforts, can’t it? Brands that say something, but then do something different are always going to run into issues. Look at the likes of Facebook and Google - huge companies, but a misalignment between marketing and comms, which leads to trust and transparency issues. 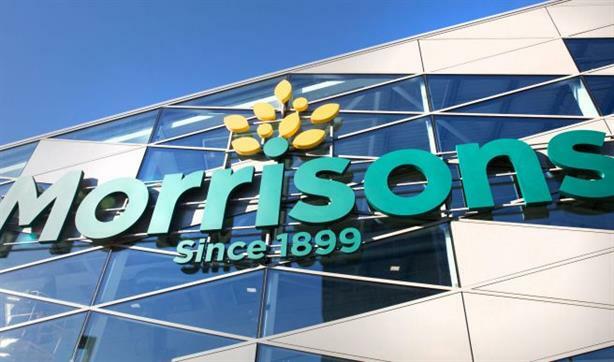 Conversely, businesses like Morrisons [an Academy client] understand who they are and how to tell a consistent story across marketing and comms, so it’s no surprise they’ve had ten consecutive quarters of growth. How would you describe being a creative? Being able to dream up and realise ideas from nothing, which go on and make an impact is an absolute privilege – and doesn’t feel like a job. But being a creative leader can be quite brutal. I mean I love it, but you do have to be brutal on yourself and sometimes with other people, often saying "no", so it rarely means you’re going to win any popularity contests. Saatchi’s has a mantra, the ‘brutal simplicity of thought’, and it’s always resonated with me. The very best work is single-minded, which means of the 100 ideas the team might come up with, only one can be right. We’re stricter on ourselves than a client probably will ever be. That means 99 creative ideas, some of them quite brilliant, might never be used. To me that’s brutal, but it’s important to keep questioning and simplifying, because an idea that gets through has to make a connection; our audience doesn’t have time for complication. It’s easy to be a bad PR creative. It’s not easy to be good. Being good means being consistent and producing work that actually works for a client. That isn’t easy because you have to resist the temptation to copy and instead start afresh on each brief, digging deep to come up with something that is original and interesting enough to get noticed and solve a problem. At our place we ask our creatives to be client-facing, be obsessively into the work, develop and deliver it and lead your teams by example. So, it’s certainly not easy at The Academy. Diversity – what are your thoughts? We have always met everyone who gets in contact, regardless of background or circumstance because you never know who will have that spark of talent that will flourish in PR. But getting people to even recognise PR as a creative discipline and then helping them get into the industry is where the efforts needs to be made. It’s high on our agenda and we’re working hard with fellow PRs and organisations like Lecture in Progress to make a difference. What’s different about the approach at The Academy? There are some great agencies doing some great work, but I honestly don’t think there’s anyone who can match our strategic and creative thinking, which leads to bigger, longer-lasting, more effective work. Our diverse team also means we can also execute across PR, advertising, live experiences and design. That’s the whole premise of The Academy – the best brains, from a mix of disciplines, collaborating together to make stand-out work. And how is your role different there from in a less integrated agency? My specific role is to set the creative bar and make sure we don’t fall below it. I’m proud of what we’ve achieved so far, but we aren’t the finished article, and I want to raise it higher.